The 2019 Formula 1 season is set to finish in December, while the German Grand Prix has been included on the draft calendar released by the FIA. It was also announced that a new contract has been signed for the Japanese Grand Prix to continue at Suzuka until 2021. The record-equalling 21-race calendar has the same order as 2018, with the first race in Australia on 17 March. Abu Dhabi will close the season with the race taking place on 1 December. The calendar will be submitted for approval during the FIA World Motor Sport Council meeting on 12 October. 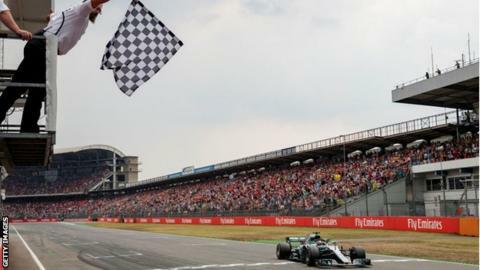 The German Grand Prix has been held in alternate years recently and there had been doubts about its future with organisers wanting to reduce their race fee. It will follow the British Grand Prix at Silverstone, which is scheduled for 14 July. Sean Bratches, managing director of F1 commercial operations, said: "The renewal of the Japanese Grand Prix and the confirmation of the German Grand Prix are both examples of our direction to place fans at the heart of Formula 1, a vision shared with all our promoters."